I live in my plans and my past. What has been and what might be. Much of the time, I live in my mind. 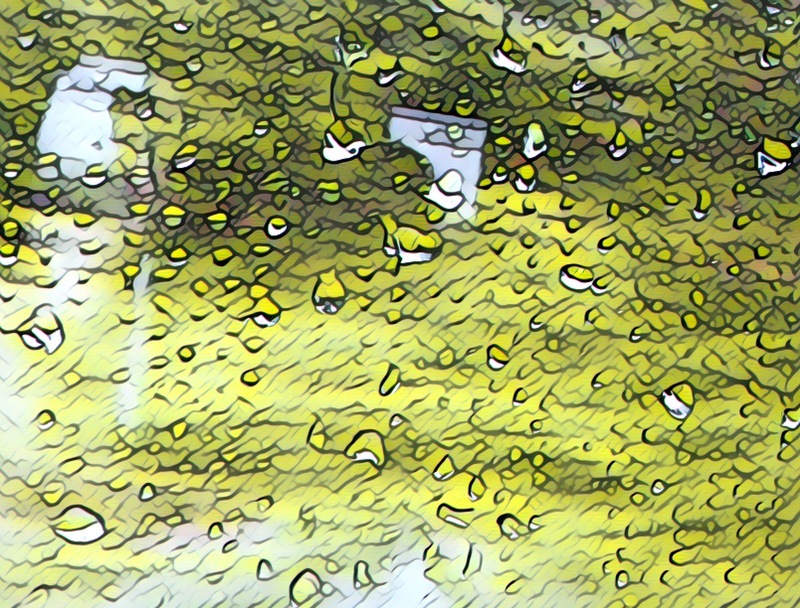 Rain beats and beads on the glass. That runs the rock so that trees might drink. Natural art in the now I must leave my mind to see.